The Freerider FR1 is a comfortable scooter with a modern style sure to turn heads. 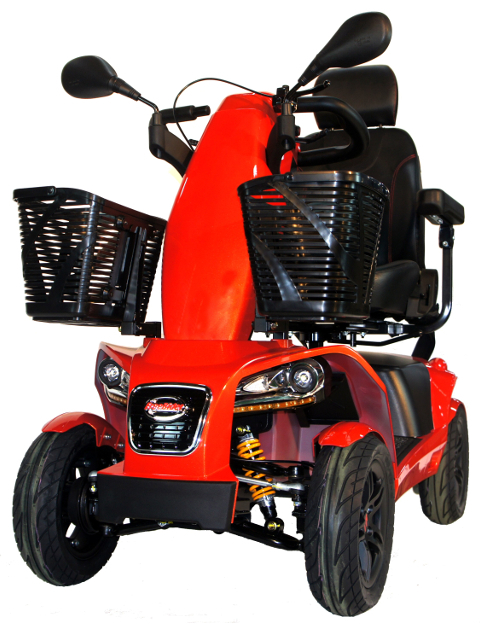 It features a captain style seat which provides excellent support and is fully adjustable. Its all round suspensions system aids a smooth ride. The tiller can also be adjustable to help you find the most suitable position for you and the two large storage baskets on its sides can be removed when not required. A handy USB charging point means that devices such as mobile phones and MP3 players can be charged whilst on the move. Stylish lights front and back, including indicators, ensure you can see and be seen. There is also an automatic brake light. The large wheels give you enhanced off road capabilities with nearly 6″ of ground clearance, backed up by a powerful motor.